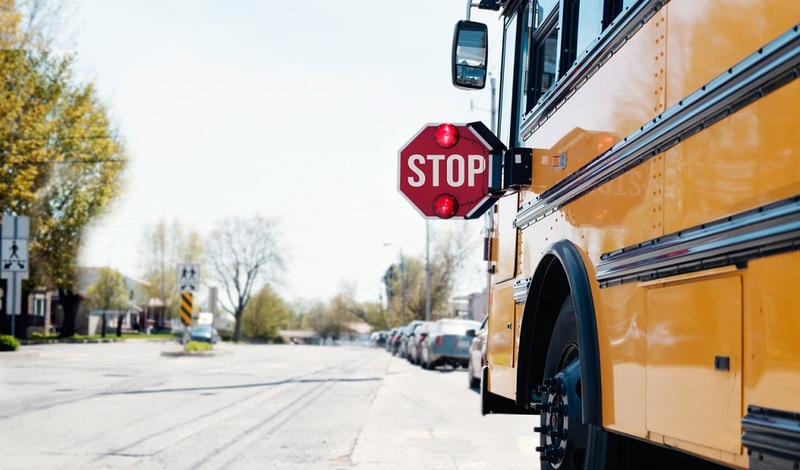 At the 53,000-student Klein Independent School District in Texas safety has always been among administrators’ top priorities. But last year’s tragedy in Parkland, and the questions that followed, convinced Superintendent Dr. Bret Champion and his team that the community deserved a stronger voice in that conversation. 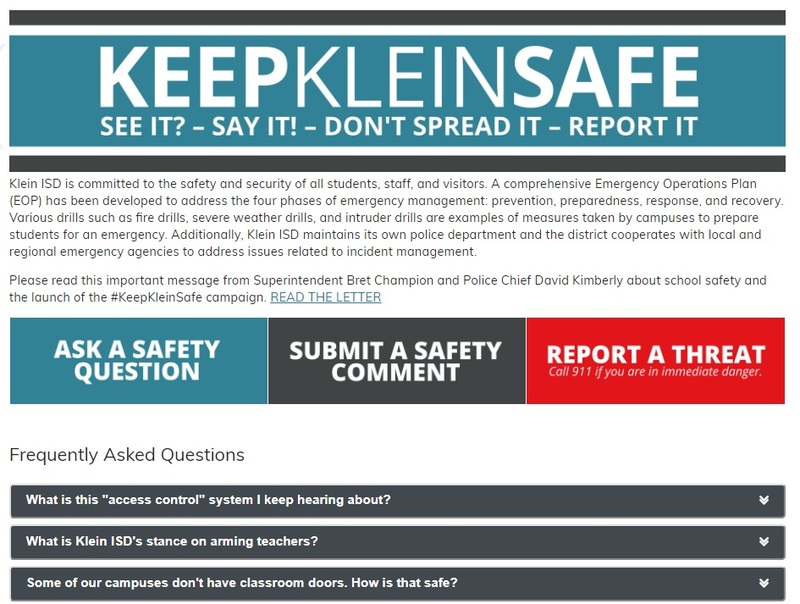 To help, the district launched Keep Klein Safe, an online initiative and training program that empowers students, parents, and staff to report safety concerns, ask questions, and inform the district’s evolving safety and security policies. 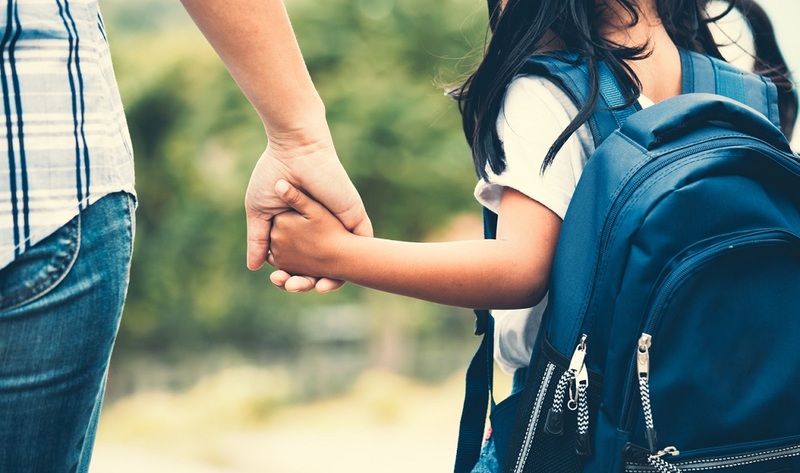 Talking with parents and students reinforced a reality that Champion and his team had already begun to understand: The conversation around school safety doesn’t stop when the bell rings at the end of the day. In many cases, says community relations manager Justin Elbert, that’s when the conversation picks up. That’s the thinking behind Keep Klein Safe. Now, students, parents, staff, and others can click a red button on the district website to report safety concerns, ask critical questions, or read frequently asked questions about the district’s safety policies and procedures. The service is available 24/7, and managed by the district’s internal police department, in collaboration with administrators in other key departments, including communications and the central office. 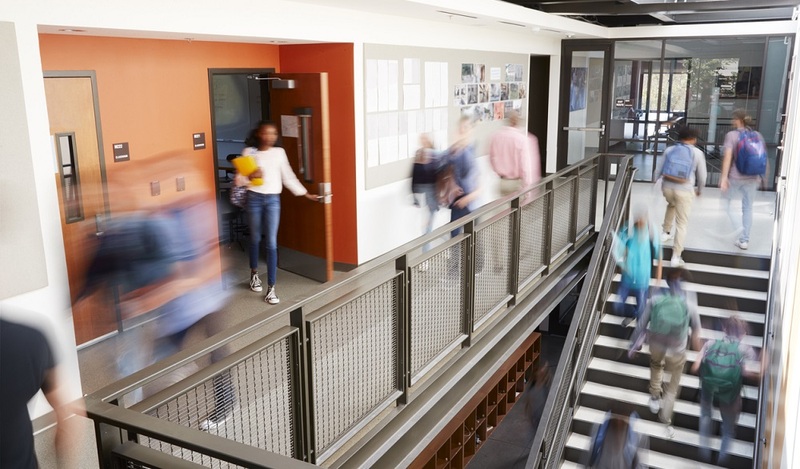 Powered by a cloud-based software application called Let’s Talk!, from K12 Insight (K12 Insight produces TrustED), the system both solicits feedback and gives school leaders the ability to collaborate on responses. A data dashboard helps district leaders measure and improve the quality and timeliness of their replies, and build trust with the broader community. A special Critical Alerts feature lets the team flag messages that include potentially troubling keywords, such as bomb, gun, or suicide, and prioritize them for the fastest possible response. The district had previously used Let’s Talk! 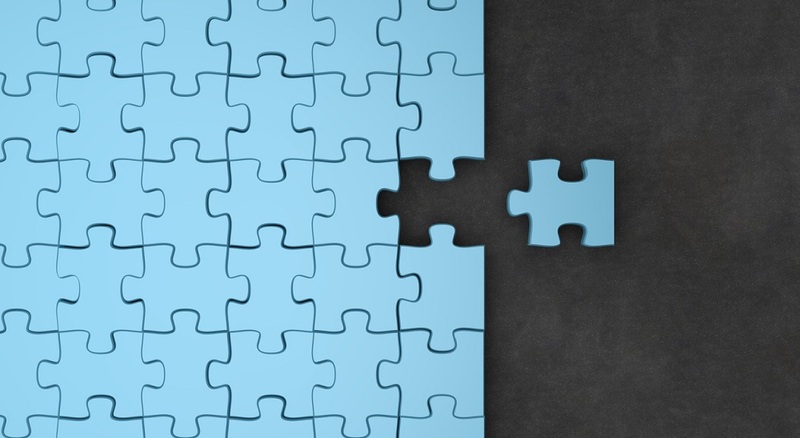 to solicit feedback on its strategic plan and rezoning initiative, for which it received more than 6,000 responses from parents and community members. But it wasn’t until administrators decided to use it for safety, that the floodgates opened for students. That development has been instrumental in creating a safer school climate in the district. 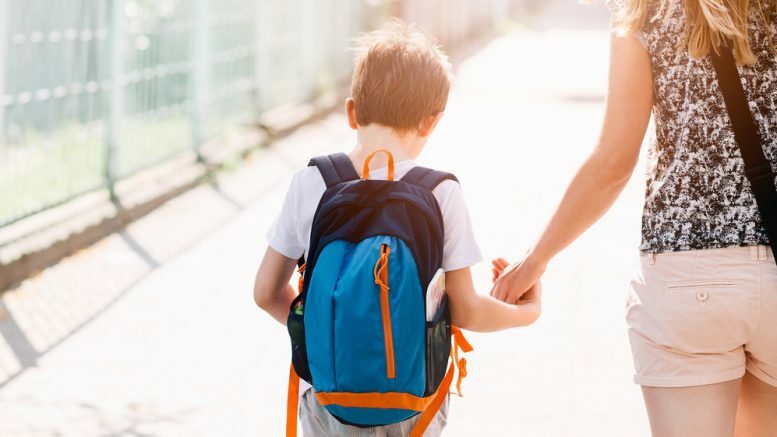 Deputy Superintendent Dr. Jenny McGown says the system also empowers students in other ways, such as seeking help for friends in need of mental health intervention. Be the first to comment on "Giving your community a voice in school safety"